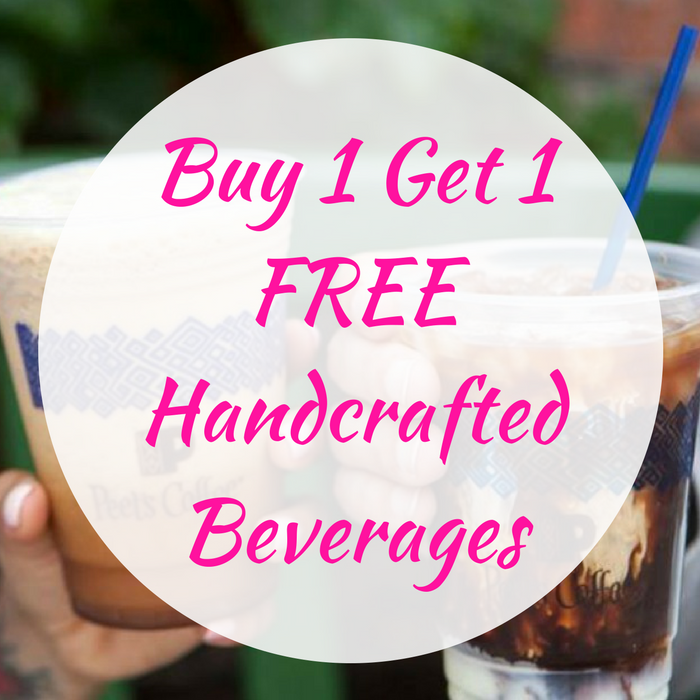 Buy 1 Get 1 FREE Handcrafted Beverages! You are here: Home / FREEbies / Buy 1 Get 1 FREE Handcrafted Beverages! Here’s another awesome FREEbie for you! Until August 25! Peet’s Coffeebar is offering Buy 1 Get 1 FREE Handcrafted Beverages every Friday between 1 PM – 3 PM! No purchase needed! Yay!